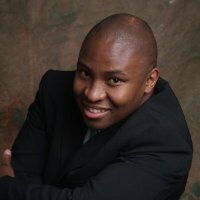 Sizwe Nxedlana is the chief economist at FNB. Prior to this role, Sizwe held the role of senior economist at FNB Wealth and was a member of the investment and asset allocation committees. He joined FNB in 2008 and was responsible for the analysis of South African and global economic trends and global markets, initially servicing the FNB Commercial and more recently the FNB Wealth segment. Sizwe holds a Master of Commerce in Economics from the University of KwaZulu-Natal. He completed his Bachelor of Commerce Degree from the University of Cape Town and prior to FNB, Sizwe worked at Kagiso Trust Investments and Standard Bank, as a property economist.